Worried about location unavailable error in Android device manager? Let me show you how can fix it right away. Android Device Manager is a useful tool to keep track of your Android device. 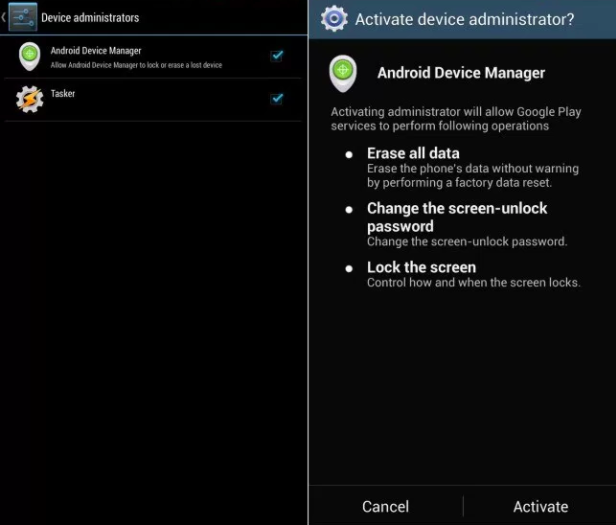 Whenever you misplace your Android device or gets stolen, using the Android Device Manager you can quickly trace out your device and even perform commands remotely. As you all know, future is said to be uncertain; it’s crucial to have Android Device Manager on your smartphone. The app will directly show you the location of your device whenever it’s lost. Initially, you need to setup your account in order to enable the Android Device Manager in order to prevent your device from getting stolen. Recently, we’ve seen a lot of users complaining about an error that says Android Device Manager Location Unavailable. Sometimes, the Android Device Manager seems to be buggy and doesn’t work properly. You might have come across errors such as “Location Unavailable” or “Android Device Manager Location Unavailable” during setup. But don’t worry, it’s a general app-related issue, it has nothing to do with your device or model. There are some simple and effective ways to fix this common issue on your Android device. Below we’ve provided relevant tips and solutions for the problem, have a look! So far, we’ve managed to find only two solutions to fix this issue on any android device. I recommend you to carry out both the procedures to permanently get rid of this issue. All you need is just a little bit of patience and go through the following instructions. Most people ignore the Google Play Service updates or keep outdated versions on their device. It’s not recommended to have the outdated versions on any device; updates are meant to be installed to solve the issues. You must install the latest versions of Google Play Services by going into settings. Open up Settings >> Application Manager or Apps >> All Apps. Now you need to find all the apps related to Google services and update them one by one. Alternatively, you can clear the cache and data of Google Framework while updating to the latest version. To clear cache, go to Settings >> Application Manager >> Running Apps or System Apps >> Google Framework >> Clear data and Cache. This method will most probably this issue and prevent from happening again in the future. Sometimes, battery saver apps can also cause this issue on your Android device. Most of the times, battery saver apps change the accuracy mode to low or weak to improve battery consumption. You can manually change the accuracy mode to high in order to get rid of this issue. Just open up your Settings >> Locations >> Turn it On >> Accuracy >> Set High. Now close the settings and reboot your Android device. Also make sure, that you have active Internet via Wifi network. Often, carrier network goes unstable (Especially in India) and your device won’t be able to update the location frequently. It’s better to turn off Battery Saver apps when your battery level is in good stage. Although enabling the High Accuracy mode doesn’t consume much battery. I hope you are able to fix location unavailable error in android device manager. Make sure to follow all the tricks provided above to protect your device from being lost. Please comment down if you are still facing the issue, I will provide you an alternate solution, thank you.